I would willingly buy a multimeter kit like this if it was a decent price. Even without a current range it would be both useful and fun. Now how do you sign up for one if you have neither Twitter nor Facebook accounts? I think that got a bit lost in the video. One is supposed to contact @FlukeCorp via Twitter, using the #FlukeKit hashtag to get more details, like availability and price. Or ask Fluke on Facebook. since I didn't have twitter, and already leave facebook behind. Opening it up also showed that they have drilled holes in front of the case which have then later been covered up with tape. I guess the connectors just got too expensive! This reminds me of a multimeter I lend about 9 years ago. Im still waiting for it to be returned. Why I should have it? My work is repairing all sort of Test Equipment, and my hobby is make cheap DIY version in my home. I have make several things: OSA, semi diff probe(1MHz), C&V swithing P/S,industrial USB curent loop, 35kV P/S,.. But for my hobby i didn't have any budget for decent DMM.. Currently my multimeter is a cheap uni-t and it does not work propely, so i am multimeter less ,I really need onother one, can I have it please? Dave, I'm going to ask for it on behalf of my kids. Son and Daughter (twins) are off to Uni this September to study Electrical and Electronic Engineering and Electrical and Mechanical Engineering respectively. If the Fluke kits appears before then (and I don't win this one ), I'm definitely going to get them one each. Can't be. According to the UNI-T fanboys here every UNI-T is perfect. Dave, as an early birder for the kit request from Fluke since you announced it earlier at the Supporters Lounge few days ago, got the confirmation today, thanks. From their reply, I have the impression that they're sort of overwhelmed by the requests, and probably have a limited run for the 1st batch. Hurry guys, a limited edition here. Please read your PM, have few questions for you regarding the payment, I thought this is for the noble cause in education, why the heck it has this affiliation thing with your web site ? Are you getting commission for this particular deal ? On the free DMM, hell, why not, here is my reason, at least its damn honest , I need that low end one to complete the "Fluke Circle" , my life just feel empty if its not completed. 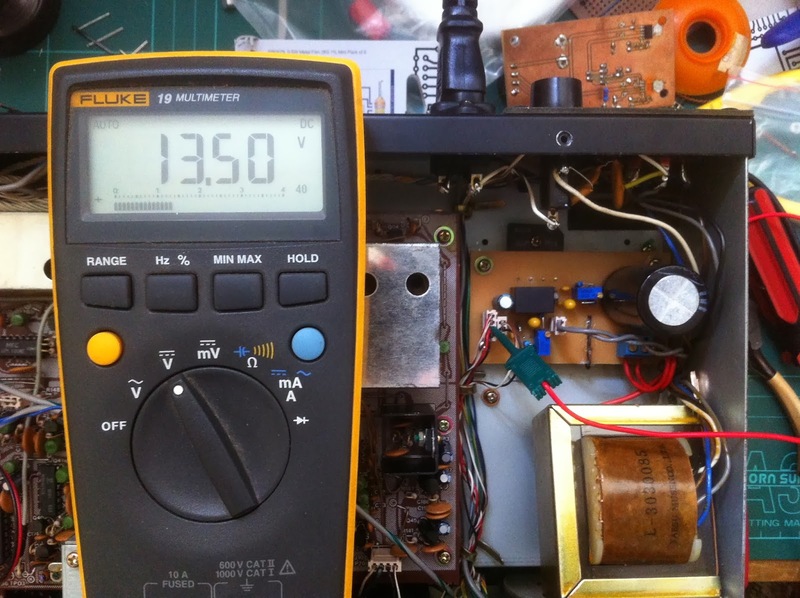 Lets see, I own Fluke 287 (two) , also a 87V, sort of upper mid level. Its just I don't have this low class type from Fluke, and neither they're available here locally, so please, I think I deserve it to complete this quest. Anyway, you always agree that one will never have enough DMMs, right ? I reckon Han should win whatever prize they're all asking for. He is the funniest. I'm really looking forward to getting mine, hopefully fluke will be quick with it, I'm very glad they are finally doing something for the hacker maker movement. Also, did anyone notice at about 16:20 when Dave snaps the unit on the table, it jumps by about 26mV AC ?? it doesn't do it again after that, and it stays pretty stable at 0.00 for all the remaining knocks on the table. The makers and students of today are the professionals of tomorrow. Fluke should be smart enough to know this and know that when they do get a professional gig and are able to make recommendations and requests for hardware, they will naturally gravitate to what they "know". That said, I think if these kits are more than an equivalent spec'ed Extech that is already assembled for example, they aren't going to be much more than a marketing stunt and will miss the point. "Fluke is really fast with this kit".. Yeah, they say they are going to do it (how many maybe's were in that announcement? ), and to show it off they just sneak away a couple of parts from the production line, put it in some nice bags, and send it off to you. Exactly what i was thinking. Don't know if Australia is ahead or after GMT, so technically it possible might be april 1 there. Lets hope it's not because it's a great idea for supporting the young technically interested people.